THE Gladstone Harbour Festival weekend wasn't limited only to the GPC Marina, featuring events throughout the city. The Gladstone vintage and classic car club annual display, as well as the Gladstone all-bike classic lit up Dawson Highway as vintage and classic vehicles rolled in to town. The Gladstone Embroiderer's Guild held their annual Easter display at the Gladstone Library while the Port Curtis Patchwork Group held theirs at Gladstone's community HUB. 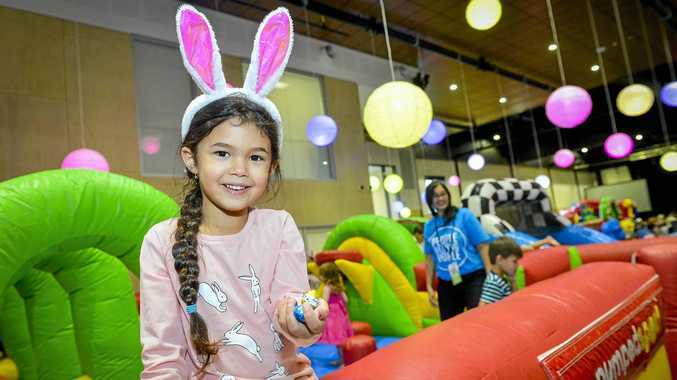 The Gladstone Foliage and Orchid Society display was on at Bill Roberston Toyota on Hanson Road all weekend, with Easter Sunday proving a hit for the kids with an Easter Egg hunt held by Lifestyle Church at the GECC. Juvinyl showed off Gladstone's local talent at the Sensational Saturday night program, opening for the hugely popular Kisstroyer.